Clever and artful solutions to everyday problems never fail to impress us, and these chocolate nails fit the bill perfectly. They slide into food items to hold them together – kind of like those fancy toothpicks, but much tastier. They are the creation of Stephane Bureaux, and we’d love to get our hands on some. There are so many awesome things you could do with these. 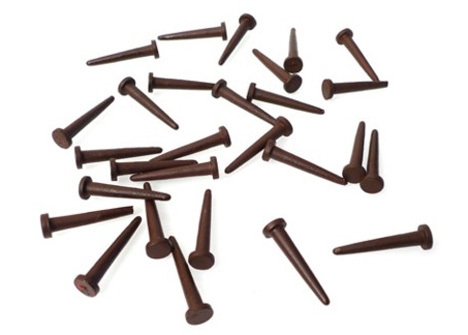 Sure, you could just stick them into some ice cream and pretend you’re eating Hellraiser’s face…but it would be way cool to construct whole buildings with slices of cake and chocolate nails, then destroy it with your teeth, giant monster-style. 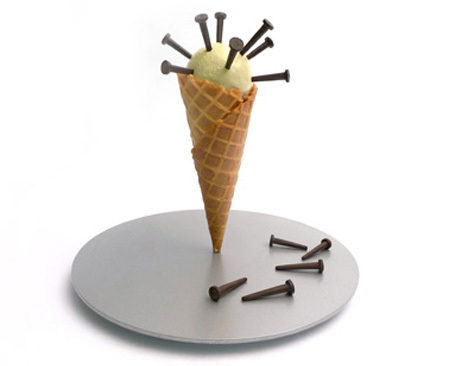 The most exciting potential use for the chocolate nails is for chefs making gourmet desserts. 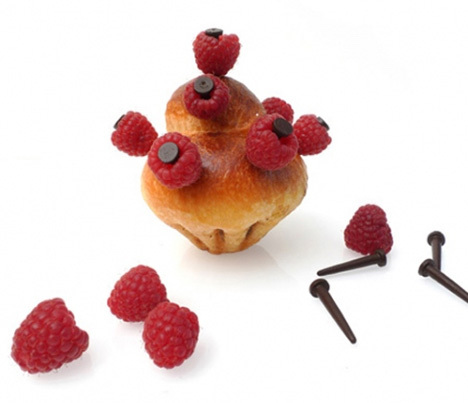 Imagine what crazy creations a trained culinary professional could come up with using these delicious fasteners…and how fun it would be to rip those creations apart and devour them. See more in Industrial Design or under Technology. August, 2011.